This past weekend I went thrifting and decided to do some DIY projects. I got an old jean jacket and some old mom jeans to make into shorts. Check out the steps I took for each! 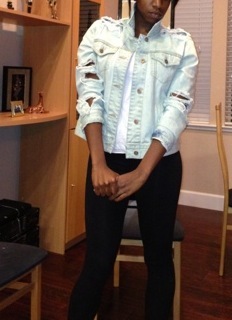 These were my inspiration for the jean jacket. I wanted a slight oversized, grunge feel. Step two: DESTROY. There’s really no rhyme or reason for where I chose to make rips and holes, I kind of tried to model them based on my “inspiration” pics above. But I would suggested to make more horizontal holes and rips if you want more of the white thread hanging look. You will also need tweezers to help you pick out the jean threads after your make your rips. Step three: BLEACH. The most important thing about this step is that it should take place outside …and use gloves! Or else the fumes will consume you. I kinda winged it with the water to bleach ratio. Because I was doing two projects and I only bought one bottle of Clorox bleach I added water to the bleach each time to have more liquid to dip in. I submerged the entire jacket in the liquid solution and left it in for about 15-20 minutes. Going back every 5 or so minutes to check the color. Voila! 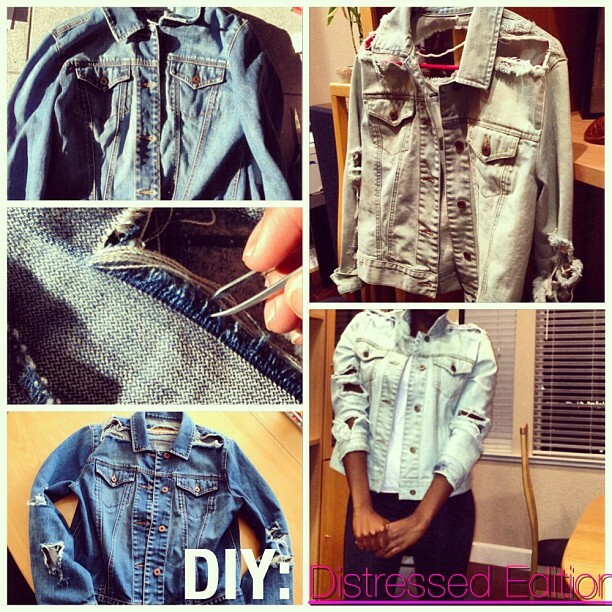 The perfect destroyed jean jacket! I really love the way it came out and I can wait until it gets warm enough to wear it. 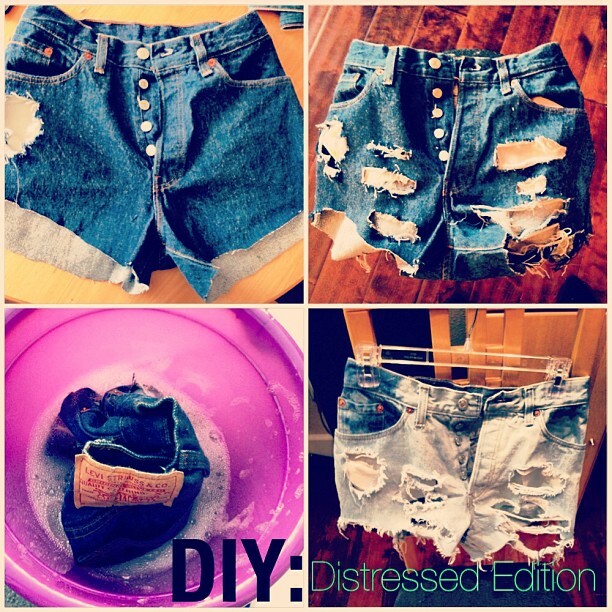 I did the exact same steps with this shorts except I attempted to do an ombré effect during the bleaching process but bleach crept up a little too much. Check out the pics to see the process. I really love the shorts too, they are super cute! I really can’t wait till it’s sunny and hot again!